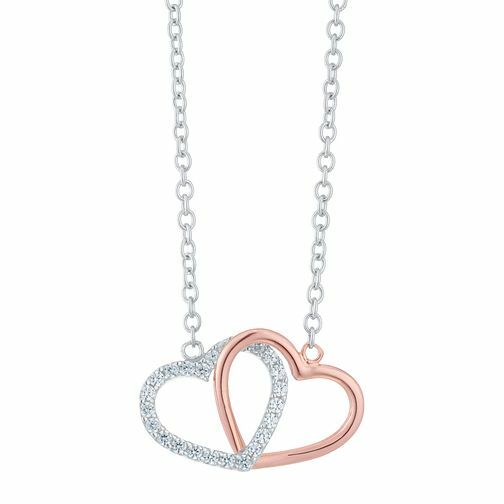 Gorgeously romantic, this heart-shaped pendant is crafted in luxurious 9ct rose gold and sivler for a polished and contemporary finish. Hung from a delicate chain and featuring an linked open heart design set with dazzling cubic zirconia, this beautiful piece is a charming addition to every occasion and a beautiful gift for someone special. 9ct Rose Gold & Silver Cubic Zirconia Linked Heart Necklace is rated 5.0 out of 5 by 1.